Long positions above 11468.00 with targets at 11693.00 & 11770.00 in extension. 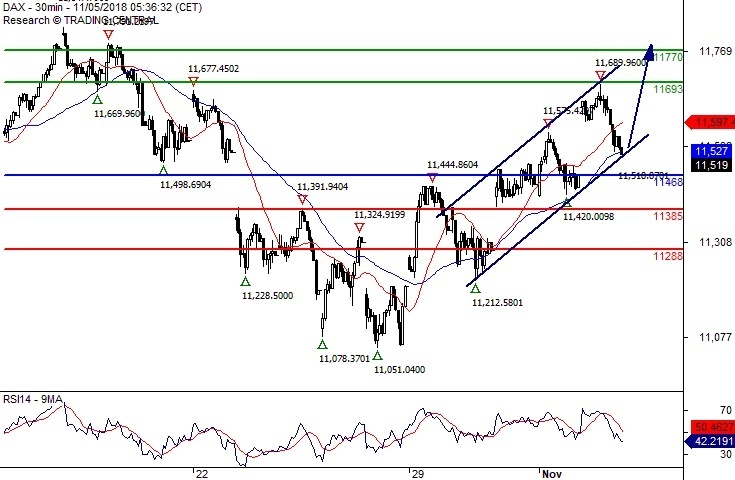 Below 11468.00 look for further downside with 11385.00 & 11288.00 as targets. Short positions below 2736.00 with targets at 2686.00 & 2650.00 in extension. 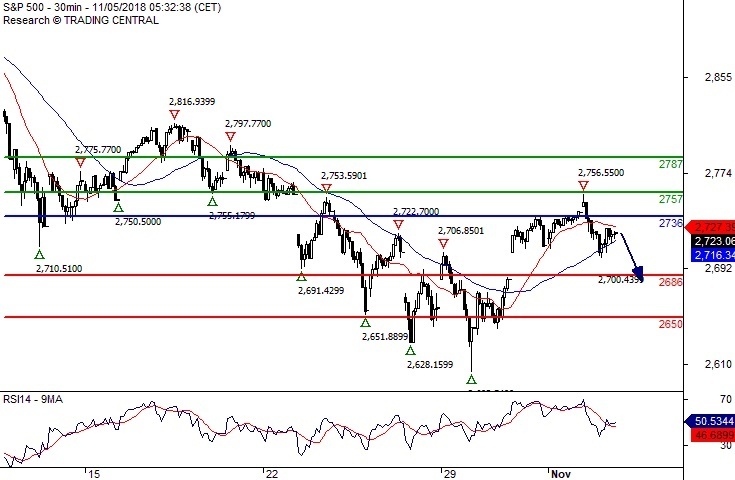 Above 2736.00 look for further upside with 2757.00 & 2787.00 as targets.